DAVOS/SWITZERLAND, 30JAN05 - Al Gore at the Annual Meeting 2005 of the World Economic Forum in Davos, Switzerland, January 30, 2005. Photo by Severin Nowacki. "A few hours from now I will step on stage in Detroit, Michigan to announce my support for Senator Barack Obama. From now through Election Day, I intend to do whatever I can to make sure he is elected President of the United States. Over the next four years, we are going to face many difficult challenges -- including bringing our troops home from Iraq, fixing our economy, and solving the climate crisis. Barack Obama is clearly the candidate best able to solve these problems and bring change to America. [...] Over the past 18 months, Barack Obama has united a movement. He knows change does not come from 1600 Pennsylvania Avenue or Capitol Hill. It begins when people stand up and take action. With the help of millions of supporters like you, Barack Obama will bring the change we so desperately need in order to solve our country's most pressing problems. [...] On the issues that matter most, Barack Obama is clearly the right choice to lead our nation. We have a lot of work to do in the next few months to elect Barack Obama president and it begins by making a contribution to his campaign today." 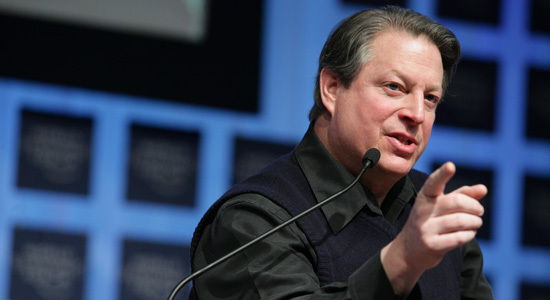 This means we won't see Al Gore run for the presidency this election. LIVE TONIGHT at 8:30 p.m. EDT: Watch streaming video of Al Gore and Barack Obama at a rally in Detroit, Michigan.